As you may know I love carbonated drinks but non-carbonated drinks have their place too. I recently wanted to start playing a sport I played in college, ultimate Frisbee. 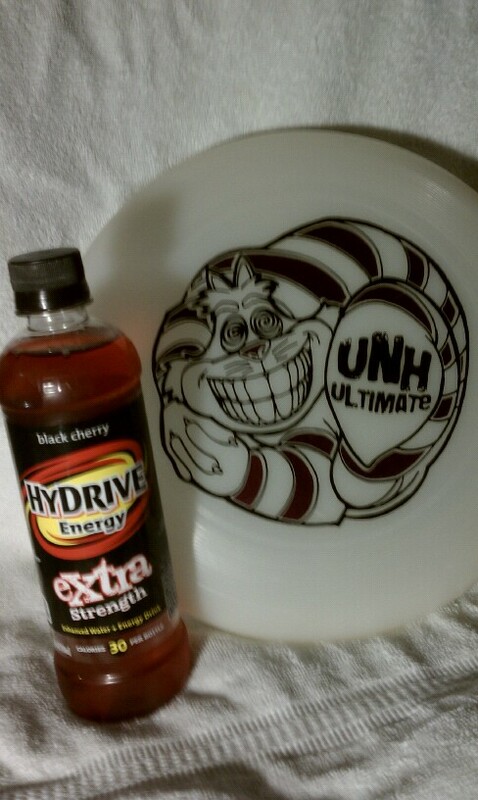 I took a bottle of this HyDrive black cherry with me to the fields with me to try it out. HyDrive extra Strength has a total of 195 mg of caffeine in one bottle, where there regular drinks have about 145mg. It has a real strong deep cherry smell. The Slim bottle profile is a bit easier to grab on the go. The base of the beverage is plain purified water. It is an enhanced water and energy drink with no carbonation. The taste starts of as a good deep cherry flavor, goes more a sweetly sour middle, and a smoother dry finish. Overall I like the taste is unique, maybe a bit too much of the citrus acid and artificial sweeteners overpowering the cherry flavor. Not bad and it’s got decent kick to it.